The Lord has called us to bring the “Light of the Gospel” into the world and we are using the Love A Child Christian Radio Station to accomplish that goal. We are broadcasting the good news of the Lord to people 24 hours a day on 103.5 FM in Fond Parisien. 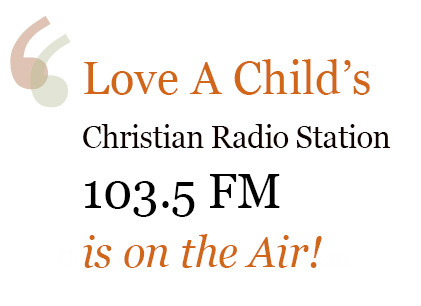 Love A Child’s Radio Station 103.5 FM shares the good news of Jesus’ Gospel throughout this region of Haiti. The station’s mission is to lead people to Christ by providing: Christian music, Bible stories, Bible readings in Creole (as many Haitians cannot read or write), education, health information and a range of valuable public service offerings. Love A Child’s radio audience recently expanded as the station now entertains hundreds of shoppers and vendors daily throughout the new regional marketplace, Gwo Mache Mirak. 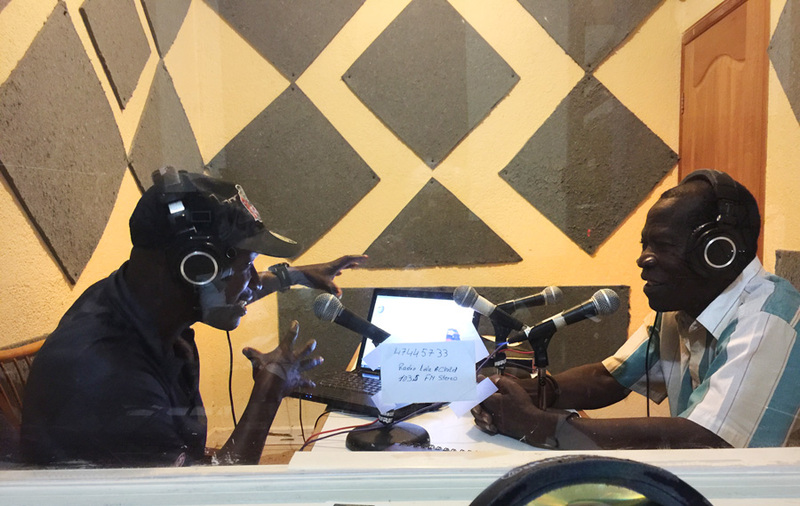 This is Agrinome Wilner Exil (left), Director of our Agricultural Training Center, during his weekly radio show talking about the Biblical principles behind sustainable agriculture and improving Haiti’s environment. This weekly show is one of our Christian programming opportunities to reach the community with the “good news” of the Gospel and information to help Haitians have a better, healthier and more spiritual life. 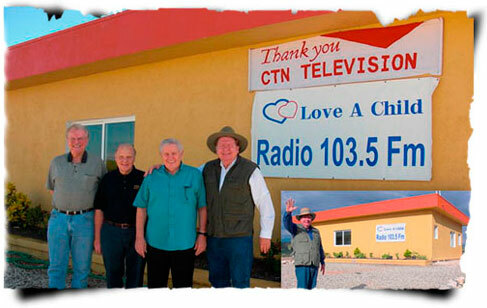 We thank our generous partner, Christian Television Network (CTN), for sponsoring the construction of Love A Child’s Christian Radio Station. CTN President, Bob D’Andrea, was incredibly supportive of the project, sending CTN engineers to Haiti to install the equipment and train local Haitians to run the station. Special thanks also go to CTN’s Paul Garber for making several trips to Haiti to oversee set-up of our Christian radio operation.